To date 14 000 000 million+ people have viewed a You Tube video titled How the Sun Sees You. It went viral with its rather alarming images captured with UV camera footage of sun damage lying just below the surface of the skin. 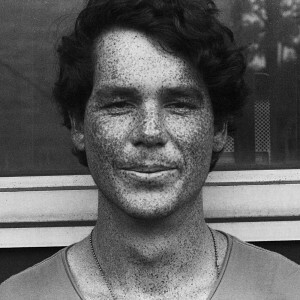 Many of the young adults in this video had seemingly healthy, undamaged skins on the surface and it was therefore a rather shocking revelation for them to see what lies just skin deep … pigmentation and sunspots all waiting to surface like dermal submarines right on cue, anywhere between their late twenties and early forties. These days young people start seeking advice from their Dermatologists or skin therapists when early pigmentation and fine lines start appearing around their eyes or on other areas of the face. They are eager to prevent further sun damage and to reverse signs of early sun damage. What is especially fascinating in this short film is the artful and creative way in which the photographer has captured the invisible changes below the skin using the ultraviolet camera. Innocent candidates who offered themselves up for this exercise were startled and in some cases rather bemused at the results! In the video it states that we are mostly all born with good, healthy skins. Without the protection of a broad spectrum sunscreen, especially in the southern hemisphere, the unseen creep of sun damage will not be visible to the naked eye until it is almost too late. Thankfully there are quite a few options to prevent further sun damage – antioxidants, sunscreens and responsible sun exposure and there many ways to help reverse early sun damage – a mild retinol for young skins as prescribed by a Dermatologist and used only at night, Intense Pulsed Light, Chemical peels, Dermapen (advanced skin needling), microdermabrasion are but a few of the treatments used to address sun damage. Cosmeceutical products with active ingredients can also help to address early signs of photo-ageing or sun damage. We call this Prejuvenation – Early Rejuvenation. Nip the problem in the bud so to speak. A new era in sunscreens has dawned with products such as Heliocare 360° SPF 50 in an ultralight airgel for combination or oily skin and in a fluid form for normal to dry skin. This sunscreen protects you not only from UVA & UVB wavelengths but also from Infrared (IR-A) and High Energy Visible Light (HEV). It offers potent antioxidant protection and helps to repair DNA in damaged cells. This new age sunscreen is also proving very popular with sportsmen/women and people who spend a great deal of time outdoors. For more information you can make a personal appointment with Sarah Stringer, Dr Webster’s skincare therapist for a Visia Complexion Analysis and for further information on products and treatments to attain your best skin health according to your expectations and budget. Phone: 021 852 5858.